Melt butter and mix all ingredients. Roll into balls. Place on baking tray 5 cm apart (they will spread out). Bake. 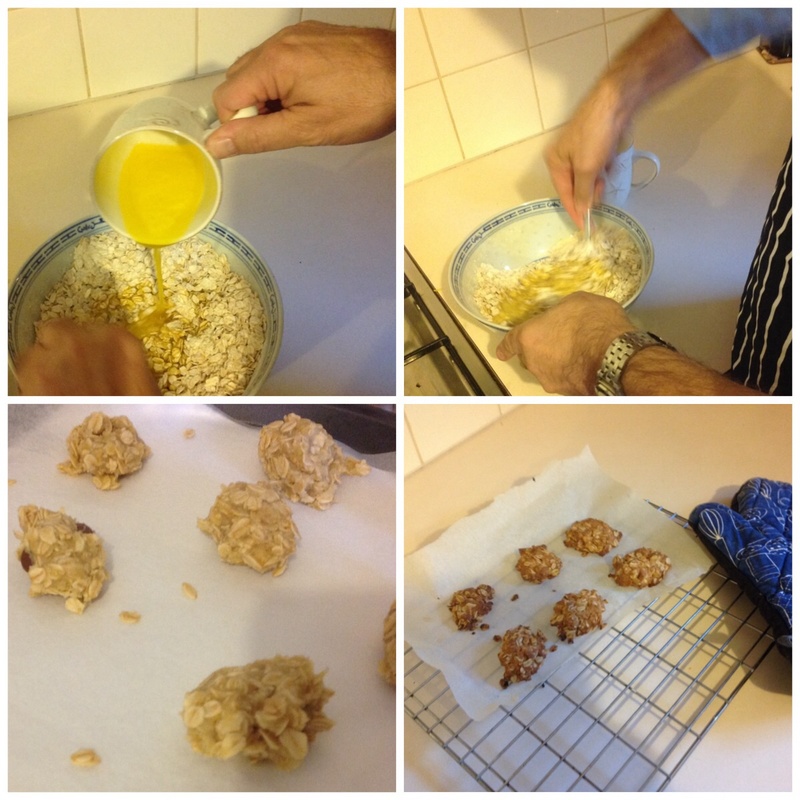 The baking time determines the level of crunchiness v chewiness. We made them to this recipe and tarted some up unhistorically with crushed macadamia nuts and chocolate chips. ANZAC Day is commemorated every 25th April with dawn services and parades by current and former service men and women. Its traditions are deeply embedded in the Australian psyche. I buy mine in Morrisons! 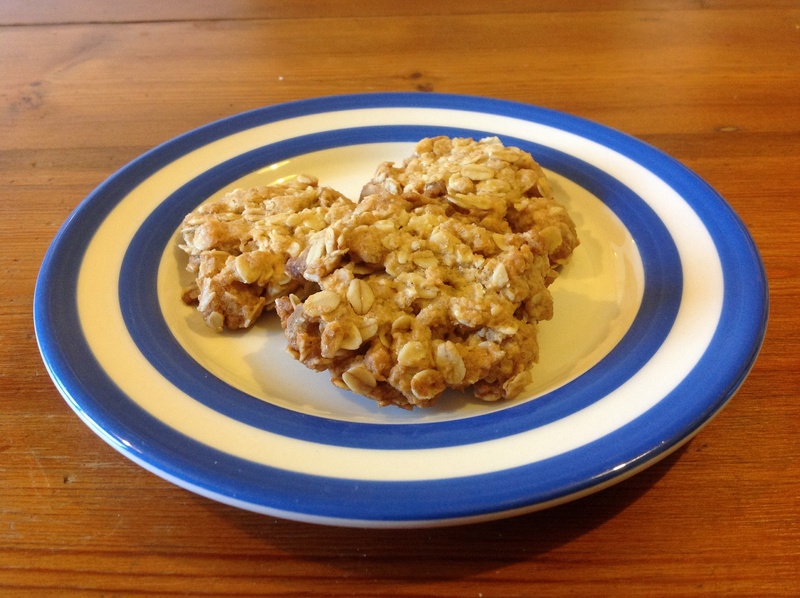 Easy to make and more delicious. On the eve of ANZAC Day 2015 – 25th April, the 100th anniversary of the Gallipoli Campaign – and it’s raining. 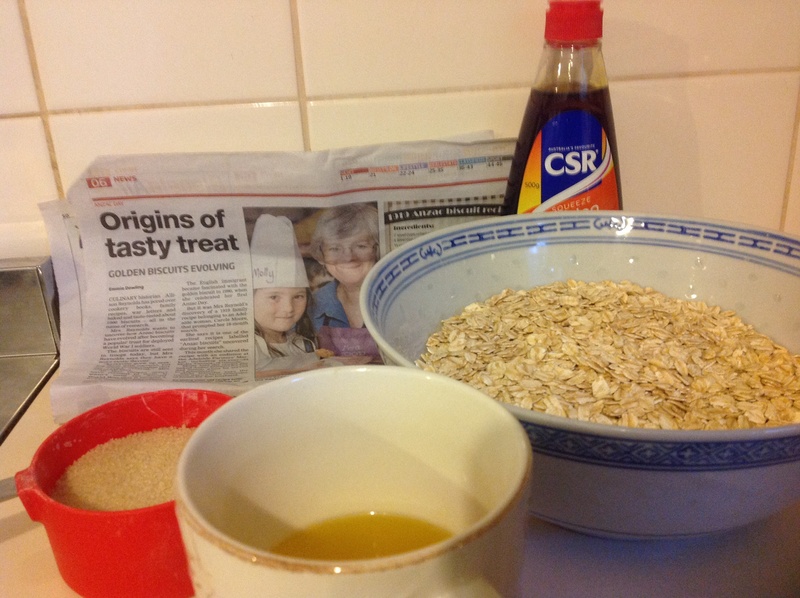 A good time to make ANZAC biscuits?